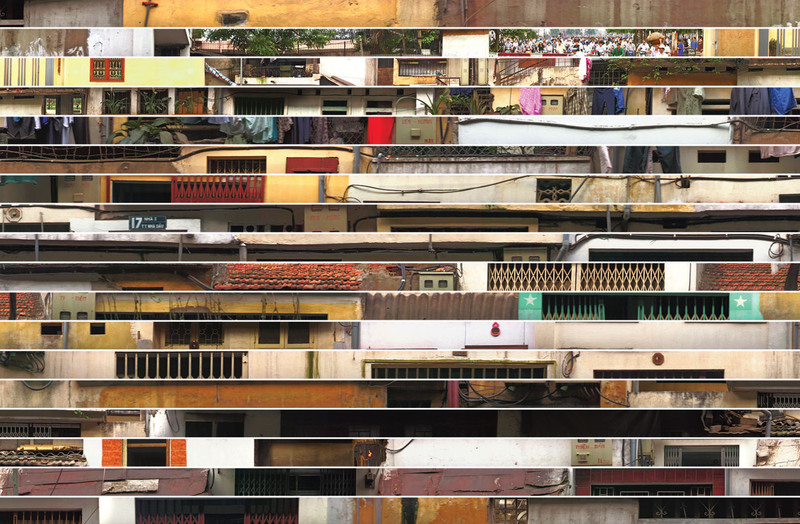 LoopLoop is made from a sequence captured in a train en route to Hanoi. The 1,000 images of this sequence were stitched into one long panoramic image and integrated with other moving elements. Using smooth transitions, animation, and time shifts, the video runs forward and backward, looking for forgotten details, mimicking the way memories are replayed in the mind. Patrick Bergeron modifies and manipulates the image and its details. His work is a mix of animation, experimental film, and documentary. For the last 15 years, he has been working in digital special effects for the film industry, where he has worked on films such as “The Lord of the Rings” and “The Matrix”.